WASHINGTON – Retired Bishop Donald E. Pelotte of Gallup, N.M., the first American Indian bishop in the United States, died Jan. 7 at a Florida hospital. He was 64. Bishop Pelotte had been head of the Gallup Diocese for 18 years before resigning because of health problems in 2008. In July 2007 the bishop was severely injured in an incident at his Gallup home, spending months afterward in neurological hospitals and rehabilitation centers in Arizona, Texas and Florida. According to the Albuquerque Journal newspaper, Gallup diocesan spokesman Lee Lamb said Bishop Pelotte’s death was not related to those injuries. He had been hospitalized since Dec. 27 at Holy Cross Hospital in Fort Lauderdale, near where he had lived since retirement. No further details about his illness were released. Bishop Pelotte was named coadjutor of Gallup in 1986 at the age of 40. His outdoor ordination ceremony at Red Rock State Park Arena was a joyous cultural celebration that included dancers and singers in native dress from American Indian tribes across the Southwest as well as representatives of his own Abenaki tribe from Maine. He became head of the Gallup Diocese in 1990 upon the retirement of Bishop Jerome Hastrich. By that time, Archbishop Charles J. Chaput, a member of the Prairie Band Potawatomi Tribe, had been installed as head of the Denver Archdiocese, making him the first American Indian to head a diocese. Bishop Pelotte was born April 13, 1945, in Waterville, Maine. His father, Norris Pelotte, was Abenaki and his mother, Margaret, was of French-Canadian descent. At his episcopal ordination Mass, Archbishop Robert F. Sanchez of Santa Fe., N.M., urged the new bishop to never forget that he came from a family that struggled to make ends meet, an experience that would serve him well in the poverty-stricken Gallup Diocese. The diocese stretches across parts of Arizona and New Mexico, taking in much of the Navajo and Hopi reservations. After graduating from Eymard Seminary high school in Hyde Park, N.Y., he went on to graduate from John Carroll University in Cleveland and receive a doctorate in theology from Fordham University. He was ordained as a priest of the Congregation of the Blessed Sacrament on Sept. 2, 1972. By the age of 33, then-Father Pelotte had been named provincial of his religious community, at that time the youngest major superior of a men’s religious order in the U.S. His twin brother is also a priest of the Blessed Sacrament congregation. Bishop Pelotte ordained Father Dana Pelotte in 1999. Father Pelotte is pastor of a Houston parish. Another brother, Roger Pelotte, also survives the bishop. Especially in his early years as bishop, Bishop Pelotte frequently weighed in on the concerns of American Indians in the church and in society. 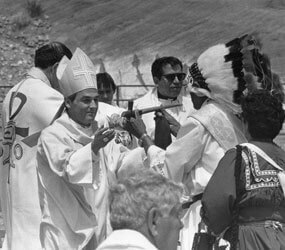 He advocated for the canonization of Blessed Kateri Tekakwitha, a Mohawk tribe member, encouraged American Indians to incorporate their culture into Catholicism and welcomed Pope John Paul II to a prayer service with American Indians in Phoenix. In 1991 he urged that the 500th anniversary of Christopher Columbus’ arrival in North America be a time for reconciliation with the continent’s native peoples. Bishop Pelotte had been a board member of the Tekakwitha Conference since 1981. 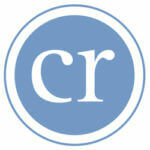 He also belonged to the Catholic Theological Society of America and the American Catholic Historical Society. His successor in Gallup, Bishop James S. Wall, said in a statement that the diocese was saddened by Bishop Pelotte’s death. Santa Fe Archbishop Michael J. Sheehan held a memorial Mass Jan. 7. Celine Baca Radigan, director of communications for the archdiocese, said that before he left on a trip to Rome, Archbishop Sheehan expressed his condolences to Bishop Pelotte’s family and to the people of Gallup. She said the archbishop talked about how Bishop Pelotte worked tirelessly on behalf of American Indians. He also noted that much of the groundwork on the repeal of New Mexico’s death penalty last year was laid by Bishop Pelotte. The extensive injuries that led to Bishop Pelotte’s early retirement was something of a puzzle. He was found by a diocesan employee alone in his house, with the appearance of someone who had been severely beaten. Gallup Police began to investigate the possibility of a crime. They closed the case a short time later, when Bishop Pelotte recovered sufficiently to tell them he had been injured in a fall down the stairs. After months of recuperation, he returned briefly to the diocese, but found it too difficult to work and submitted his resignation in April 2008.